After a long radio silence and we now want to make a comeback. 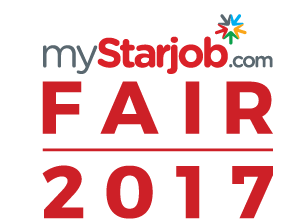 Not only just a comeback, we have reinvented ourselves to provide a better solution and as part of our plan to constantly improve, innovate and diversify our services as your ultimate career and talent resources, we bring you the inaugural, myStarjob Fair 2017! Experience the uniqueness of our fair and leverage on our reach-out to further brand your organization and engage with your future talents.